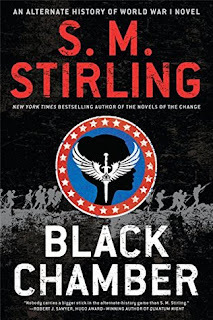 Summary from Goodreads: Book 1 a new Alternate History series “Tales from the Black Chamber”. 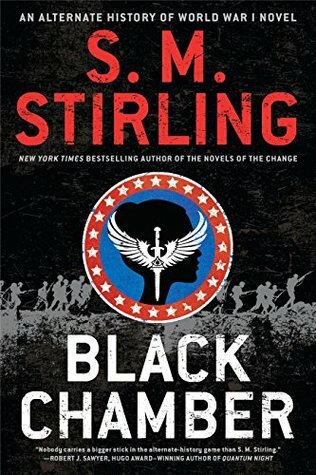 This takes place in 1916 in a world where Theodore Roosevelt became president of the U.S.A. in 1912, and features a covert-ops organization named “The Black Chamber”. Review: A thrilling story that flips history on its head. Stirling has a way of painting a beautiful world. Right up there with some of my favorite world builders like Robert Jordan and Sarah J. Maas. The world is so wonderful that it flows us through the story like a boat on a river. Had a great time reading this book.